One of my enduring memories of Tokyo is the proliferation of Pachinko parlours. These are the mysterious rooms behind double doors of frosted glass that look like the slot machine floor of a casino, sound like a hail storm and are prohibitively signposted in Japanese. Basically, if you speak no Japanese, you’re not going to go into one of these places. I was so curious about these places last time I came that when I was messing about on the Voyagin! site and saw that I could have a lesson in how to play Pachinko, I was totally sold. The package seemed pretty good value as it was for a lesson plus a guided session of playing pachinko in a real parlour with the teacher present for guidance. Phew! 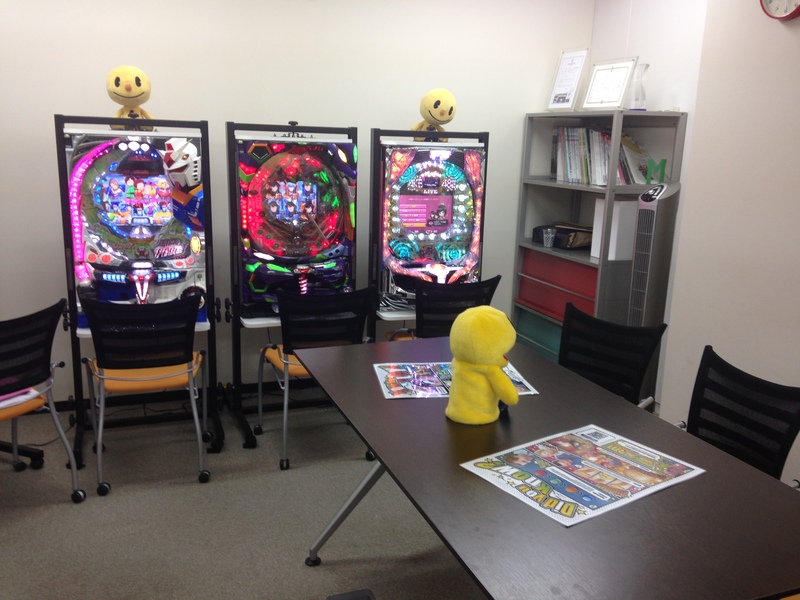 You can see the practice machines lined up against the wall, and the table that we sat at to learn the rules of pachinko. It was fun to be a student on the other side of the desk for a change! We met our guide Jhena outside a convenience store near Ginza station and she took us to her office which is part of a company that run a huge string of pachinko parlours. She spoke excellent English and gave us some of the history of the company before we began our lesson. Firstly, as a teacher, it was so much fun to be a student for the day and I thoroughly enjoyed being on the other side of the desk! Jhena had set up the room to be very welcoming, with little paper cranes made out of the Australian flag, a small gift for each of us, and lots of information on the whiteboard to help us understand the game. There were even model machines that we would use to practise the game before we went down to the real parlour. Jhena was very thorough, teaching us all about the ins and outs of pachinko. Pachinko has quite a long history (90 years) and is based on video games which explains the neon flashing lights and crazy videos that comprise many of the special features. Each machine seems to be linked to a different part of the video game culture that permeates Japanese fashion and entertainment. 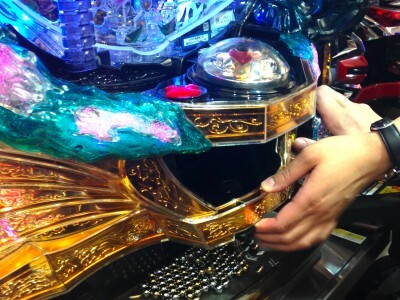 There are over 12000 pachinko parlours in Japan which shows how popular it is. 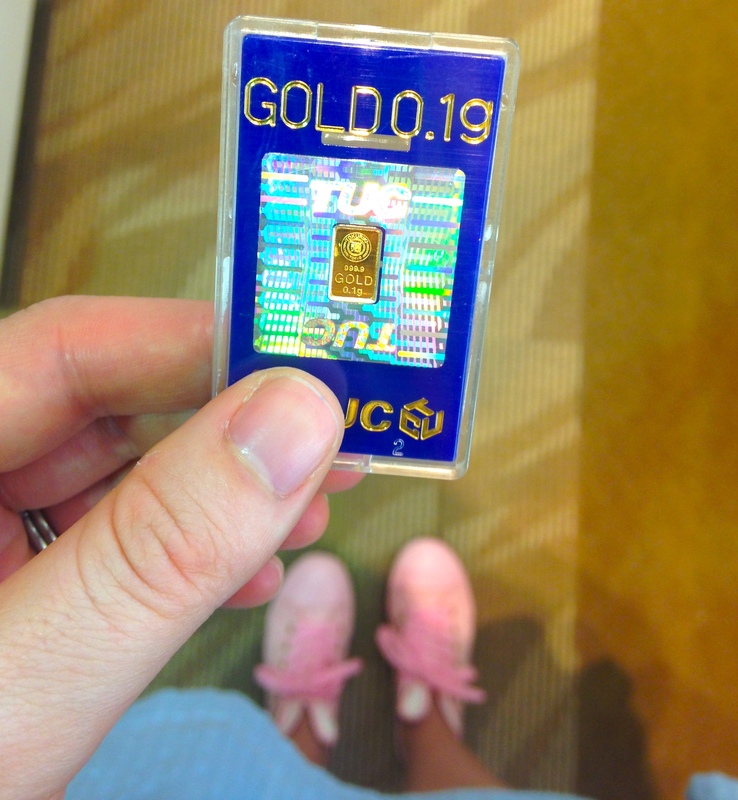 The basic aim of the game is to get as many balls into the correct slot as possible to win tiny slivers of gold. As there is a law in Japan against earning money from gambling, you cannot exchange this gold for cash on the premises. Instead, you need to exit the parlous and find a gold exchange booth (often very close by!) at which you can exchange your gold. Of course I wanted to practise on the pink machine. Now that the history lesson is done, lets get down to the game! We began by looking at the setup of the machine and Jehna pointed out the digital display to the left side of the screen where you swipe your card (that has been preloaded with cashola). You type in your password then press the “Tamakashi” button to rent a ball. These are tiny ball bearings that are the main feature of the game. 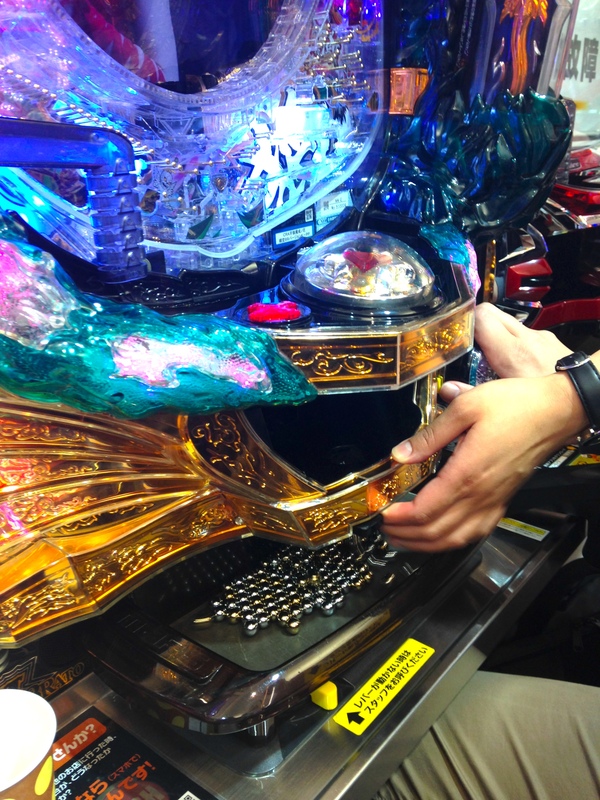 The balls fall into the tray at the bottom of the machine with a huge clatter to mark the beginning of your game. The machine is set up basically like a huge vertical pinball machine that continuously spits balls up that fall randomly into different pockets. Jhena showed us how to rotate the handle to control the force that each ball is thrown at to try to aim for specific pockets. Apparently you should always begin by aiming for “bukkomi” or the top left corner of the machine in order to cause the balls to fall into the middle pocket. When you get a ball into the center pocket, the machine will begin a special feature which is similar to the rotating numbers on a slot machine. If you win this round, another tulip shaped pocket, called the “attaka” will open and you have the opportunity to get as many balls into that pocket as possible. This will multiply your number of points. When you have run out of balls, you can press a button back on the display to use any available credit to get more balls until you run out and the game is done. Here you can see Jhena turning the handle to keep the balls flipping up, and turning the switch to pass her winning balls into the collection tray below. 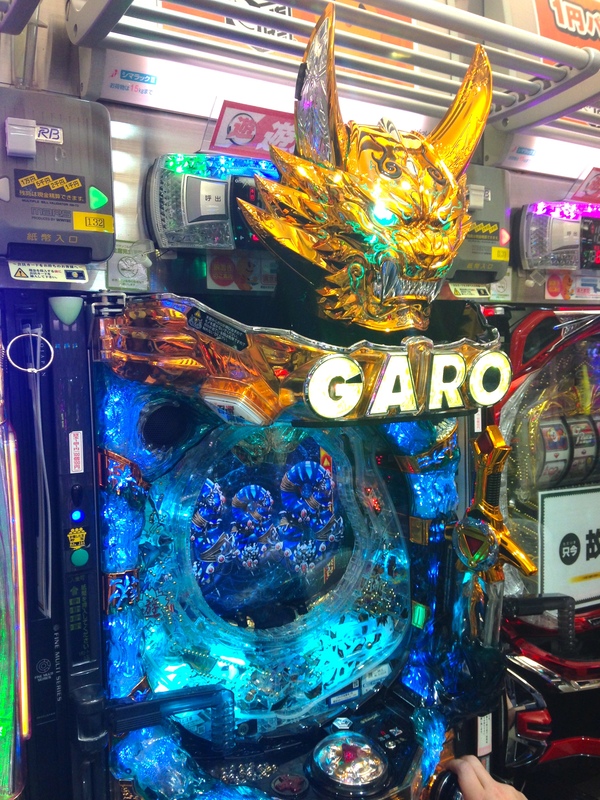 There are also three different levels of pachinko machine that increase in difficulty but also increase the amount of gold you can win if you win a jackpot. You can tell which kind of machine you are playing by looking at the display at the top. Green will be the easiest but will yield the lowest number of points, while pink will give you more points but be much more difficult. Unfortunately, when we went down to the parlour, I chose a pink machine without looking at the difficulty and lost most of my balls very quickly! For a short while, the power of pink had forsaken me. Luckily, my husband and our friend seemed to have chosen lucky machines and were quite skilled at getting the balls in the correct pockets. After a few incredibly fun special features, we had won enough points to exchange for three pieces of gold. Yippee! Also, on a side note, how cool is this machine? The big gold head on top of the machine flipped up from a hidden place when a special feature began. I didn’t manage to get a picture of it but the sword on the right was also involved in some special features and you had to stab it down at a specific time to get more winning balls. So confusing but so much fun! Gold and bunny shoes. What more could you need? Wait until the next post to find out more about these sweet sweet shoes! 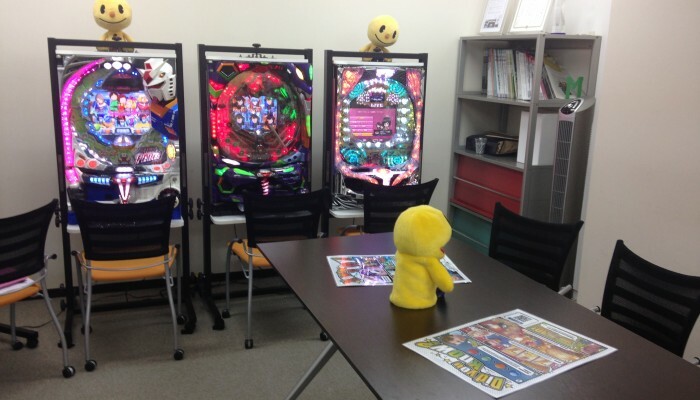 Pachinko is definitely not something that you could just sit down in a parlour and learn on your own. At least, not without losing some serious money. 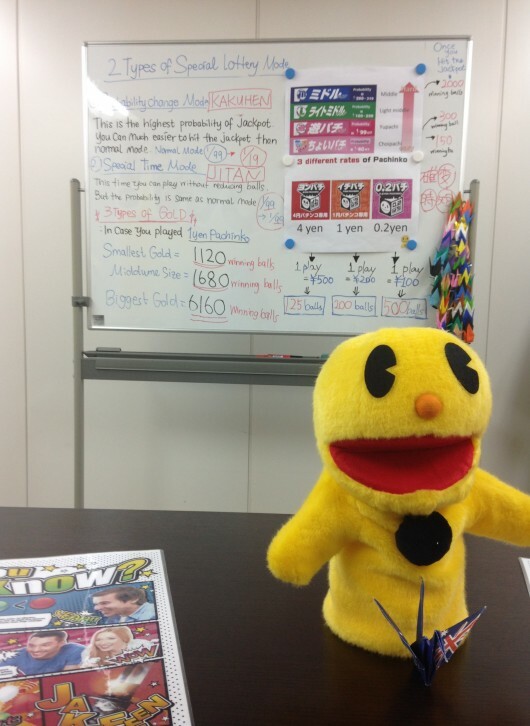 Our class was super good value as it was on sale, included credit in the pachinko parlour and, most importantly, Jhena stayed with us while we played to help explain what was happening at each stage of the game. Our class only had us and a friend in and I think a small group would be best. It seems from the website that they deliberately keep the number of participants small which is a good thing. So, another thing ticked off our ‘to do in Tokyo’ list and another success. Do you have any must-do activities for Tokyo? Anything you’ve been dreaming of? Let me know, my lovelies!